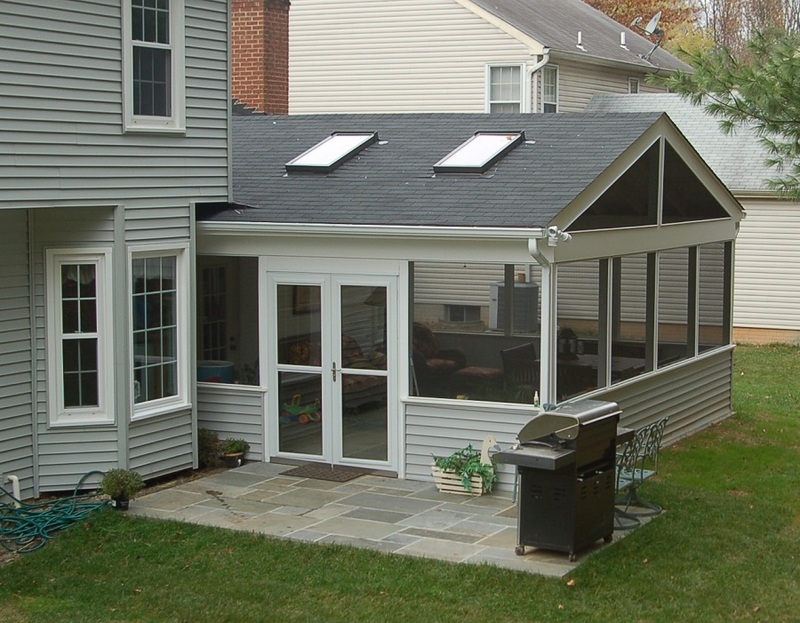 A hand-laid flagstone patio is the base of this Maryland screen room. 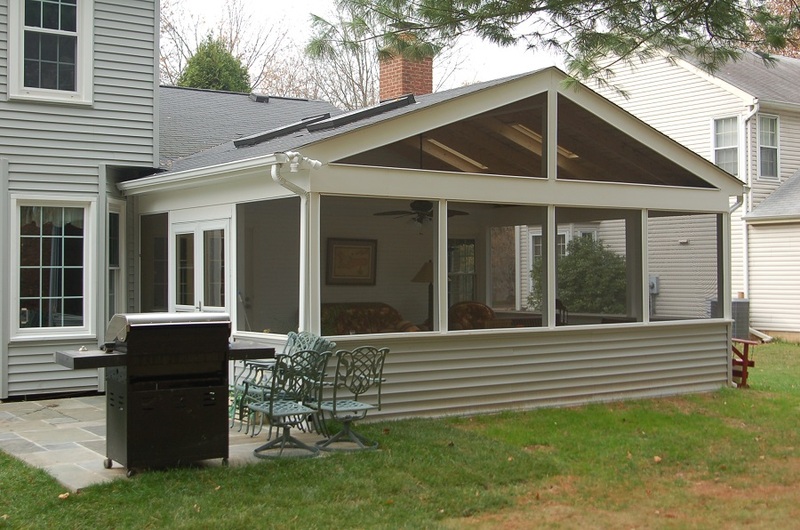 Large screened windows look out over a grassy green yard and an outdoor grilling space, while four skylights allow plenty of sunlight to enter the screened-in porch from above. 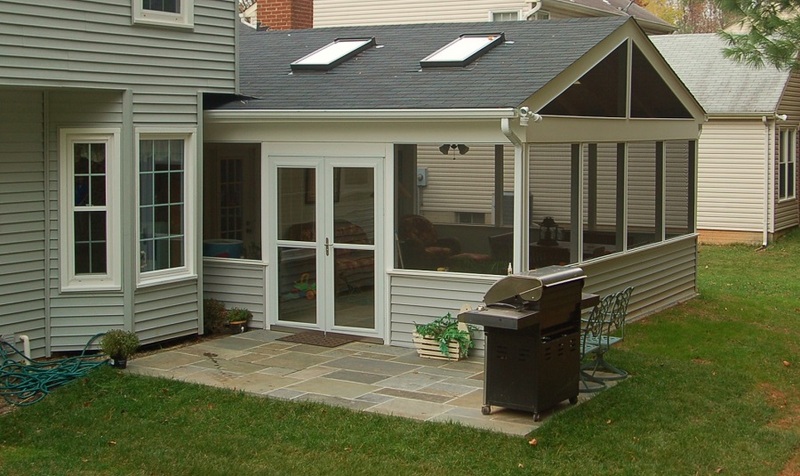 Flagstone is a great example of an alternative material to decking for a screened porch.